Cultivate is gathering for young women ages 18-29 designed to create community among women from different churches and backgrounds to grow in faith and friendship. Cultivate started in Hickory, NC in June 2017. Topical: Body Image, Hospitality, Friendship, Testimony, etc. Leaders typically commit to a semester at a time which requires 3 or 4 times teaching a semester. Choose wisely: make sure your leadership is a good blend of older and younger women who have a passion for encouraging and authenticity in sharing. Keep in mind that this could end up being someone's niche, so think through who you should invite. Have a facilitator: It is important to have someone running the meetings. 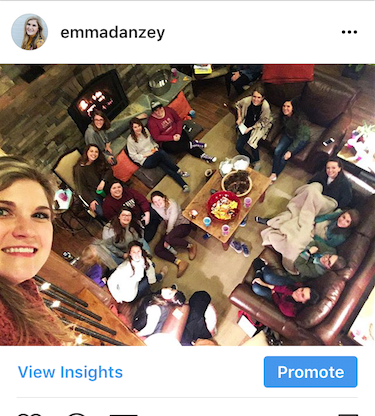 This point person does not have to teach, but needs to be someone who can lead the group overall through the evening with transitions, finding leaders, plugging the leaders into a rotation schedule and communicating with the Cultivate group. Create a semester schedule for lessons and the speakers. Figure out games that tie into your lessons and don't forget snacks! Contact me via email: emmadanzey@gmail.com to get more information.